Want to see all the technologies used by feedbox.com? 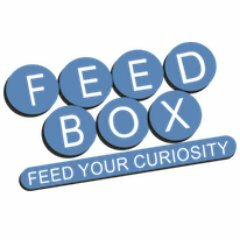 Feedbox is a news and entertaiment syndication platform offering original content, syndication and content marketing services for publishers, agencies and brands. Feedbox, launched in 2011, was recently acquired by Ideal Media. Ideal Media is an integrated digital platform that attracts responsive audiences, engages them with unique content and amplifies your message through our interactive channels; allowing you to speak directly to your target market, reaching all audiences. For a quick look at additional technographic info on feedbox.com or any domain on the web, download our Chrome Extension. Check out our help article to see how Datanyze Insider can help you.